Luxury and glamour is now right at your fingertips. 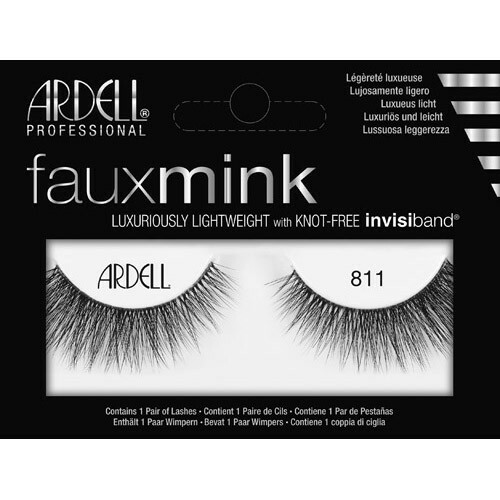 Ardell’s Faux Mink Eyelashes #810 has alternating lengths that give you two effects in one lash. The shorter strands add natural volume to your lashes while the longer strands add fun, flirty flair. They are thick at the roots and slightly tapered at the tips to mimic real hair. Optional: Bend the lashes gently a few times, either with your fingers or your eyelash curler. 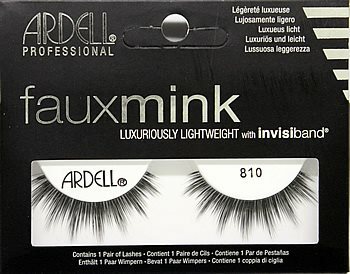 Bending them before you glue them on gives the lashes a nice curve that better follows the natural shape of your lash line. 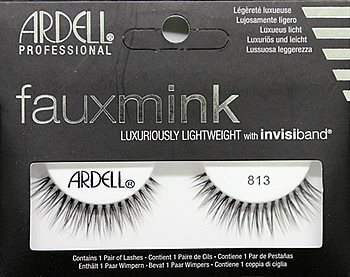 These were my first falsies and I thought they were great. They aren't super heavy and they taper well on the inner corners which is something I thought would be hard to find. They have a natural look and a light feeling and can be reused multiple times. Def recommend!